Start a conversation the next time a rep visits and learn about the client demand outside your hospital. We all get into set routines in our daily lives and activities. You will find this with me anytime I fly, whether it be for business or pleasure. I wear similar attire for the comfort and convenience — a polo shirt, dress shorts and flip flops. Whether it is the heart of summer or the dead of winter, same attire. The other routine when I fly is to always check my luggage. I know I will spend 20 minutes waiting on the back end, but it’s well worth the time as I am not fighting for bin space. Fast-forward through my lecture career of over 15 years and I found that the checked bag always arrived before the lecture started. My trip this year to Halifax, Nova Scotia, Canada, for the Atlantic Provinces Veterinary Conference, at which I had the privilege of lecturing, broke my lengthy streak. My flight arrived at 9:30 p.m. Atlantic Standard Time. An hour later, I still didn’t have my luggage, a suit, a tie or dress shoes for lectures beginning in less than 10 hours. What to do? What to do? Would a local featured microbrew at the hotel be the answer? Well, indirectly the beer did bring a solution. I ran into Peter Ainslie, CVPM, one of the conference organizers. I told him my sob story, and his first question was, “Why in the heck are you wearing flip flops and shorts to Nova Scotia?” After some good laughs at my expense, Peter scanned the hotel bar and recognized Dave Myers, a pharmaceutical rep with Boehringer Ingelheim. Standing 6 feet 9 inches — excuse me, Canada, for not converting his height to meters — it wasn’t hard to spot Dave. Peter went over and made the unusual request: “Could one of the conference speakers borrow some of your dress clothes?” Dave gave Peter an odd and concerned look, but after some explaining Dave was more than happy to help. The jokes continued throughout the day at my expense, but it had me thinking. We often get so set in our daily routines and workflows that we forget to look at other points of view. As I hurdled through the day in what looked like Bozo the Clown shoes, I thought to myself, “What do pharmaceutical reps see in our hospitals that the leadership team may not?” After all, the reps visit our clinics, meet staff, touch base at times with clients and get to know our businesses. Whether you like it or not, they develop some opinions and ideas. It would be unwise not to at least hear their points of view and potentially benefit. As I thought more about this and talked with reps inside the exhibit hall, some themes emerged. The first was the idea of opportunity. Reps walk into your hospital and see great opportunity. 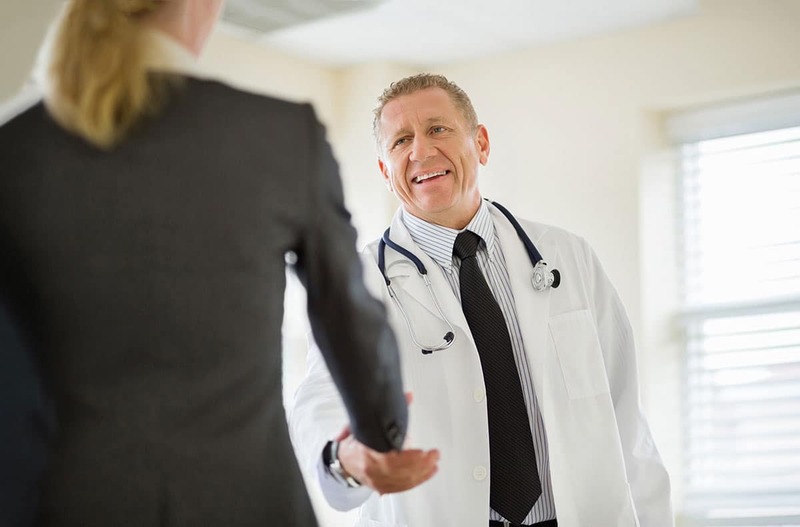 Whether it be in product sales or services, they witness a disconnect at times between the hospital and the clients you are trying to serve. None of us goes into the day not wanting to make a connection or create value in the client’s mind. But it doesn’t always happen. Sometimes when clients leave our clinics, we didn’t maximize the potential. The next time your reps visit, ask them for their perspective on where they see opportunity in your hospital. It is invaluable advice. The second theme is technology and advancements. Our industry is known to be a slow changer. We enjoy doing things the same way each and every day. Heck, just look at the way I fly each trip. As we look from the vantage point of pharmaceutical reps, they could not be more excited to share news and information about their innovative and advanced product lines and improved services. Their bright-eyed enthusiasm to share the latest and greatest is often shut down at the front desk with a “We are too busy,” “The doctor is in surgery” or “We are not interested.” Springboard off of this enthusiasm and do your staff and clients a favor. Learn and implement new ideas. Your clients want what is best for their pet and are willing to pay for it. Don’t let your old ways stand in the way of innovation and advancements in the medical services you offer. The third theme they expressed was the idea of client demand. Pharmaceutical reps see the veterinary landscape from a much higher viewpoint than we do in our individual hospitals. From 30,000 feet they can see great demand for products and services. They see clients wanting and getting these things for their pet. If not from your hospital, they’ll get the products and services from somewhere else. We all need to understand that you will find increased compliance if you provide clients with a little education and a value-added proposition. Start a conversation the next time a rep visits and learn about the client demand outside your hospital. Learn ways to grow sales. The fourth and final observation was that veterinary hospitals underutilize the resources offered by reps and their employers. Each company has client loyalty programs, marketing agendas, staff education, sampling programs, rebates, delayed billing, bulk-buy incentives, and warranties or guarantees, just a to list a few. It’s disappointing to the reps to see so much offered and so little taken advantage of. Some hospitals might be misinformed or not understand all the resources available to them. No excuses after today. When your reps walk in the front door, take time for a cup of coffee and work together to formulate a plan to maximize the use of their incredible lineups. Have a team lead join you. While I hope I am not in the position anytime soon to have to solicit dress clothes for a lecture, I realize I put myself in that position. I can correct it. We all can modify longstanding behaviors that could set us up for failure. My adventure in those size 18 clodhoppers gave me the chance to hear from pharmaceutical reps about all the missed opportunities in our hospitals. We are often too busy or don’t realize that invaluable data and advice is available to us during their visits. The reps want us to find success, and as we find success, they in turn will be successful. I also know that these reps want to help the leadership team, doctors and support staff. And you never know when you just might need to borrow some dress shoes.